The Huawei P30 Pro is Huawei new flagship device and an upgraded version of the Huawei Mate 20 Pro, with a sleek design, a full HD 6.47-inch OLED display and a new camera system which benefits from the Super Spectrum Sensor. 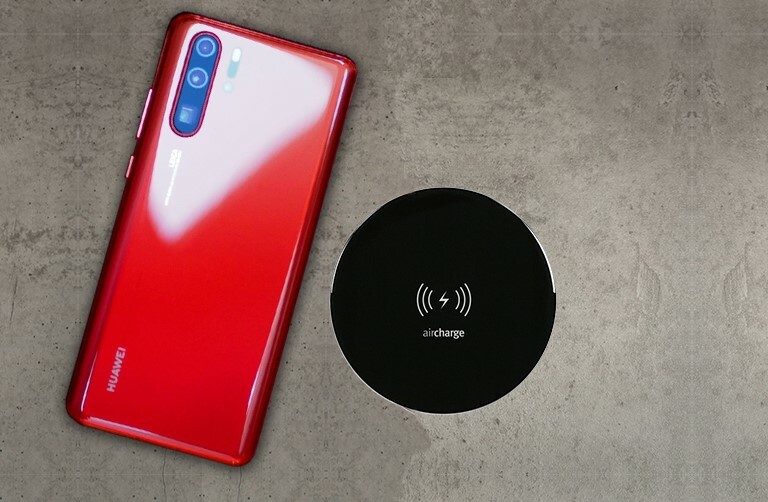 The new Huawei P30 Pro not only includes a new 4,200mAh battery but also integrates Qi-certified wireless charging and 15W proprietary Fast Wireless Charging, providing the possibility to charge the device on any Qi-certified wireless charger for the home and in public venues such as restaurants, coffee shops, hotels, airports and train stations. Download the Aircharge app and you'll be able to find over 5,000 of these locations globally. The Huawei announcement follows the releases of new Samsung, LG, Nokia and Xiaomi flagship smartphones all supporting wireless charging earlier this year. To find out which Huawei smartphones support Qi wireless charging, check our compatibility guide here.